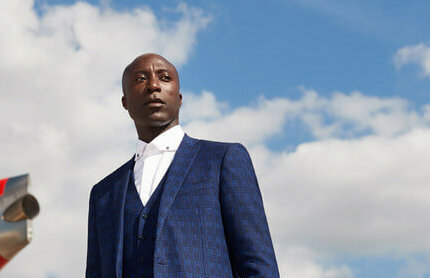 Savile Row tailoring expert, Ozwald Boateng OBE, is to be the next in an auspicious line-up of British designers to develop uniforms for the airline. Boateng, who is known for bringing a modern contemporary twist to the classic British institution of tailoring, will be designing a collection for the airline’s 32,000 employees who wear a uniform as part of their role. The new uniform will form an important part of the airline’s celebrations for its Centenary next year. Ozwald started his career in fashion in 1986 and became the first tailor to host a catwalk show at Paris Fashion Week. As well as being the youngest tailor to open a store in Savile Row, Ozwald was the Creative Director at Givenchy Homme from 2002 to 2006. Boateng, who launched his first womenswear collection this year, will be working closely with the airline’s employees throughout the development process, from shadowing them to understand their roles and how the uniforms need to perform, to design, testing and final delivery. British Airways has worked with a number of famous names throughout its history to design its uniforms. These include Paul Costelloe, Roland Klein, Baccart Weatherall, Hardy Amies and Julien MacDonald, the designer of the airline’s current uniform. British Airways’ is investing £4.5 billion pounds for its customers over the next five years, investment includes the installation of the best quality WiFi and power in every seat, fitting 128 long-haul aircraft with new interiors and taking delivery of 72 new aircraft. The airline will also be introducing new Club World seat with direct aisle access next year. Pennies from Kevin Podcast: In the Race or on the Sidelines of Business?